Tourism experts evaluated that gastronomy is the outstanding competitive advantage of the former Capital. If it is well developed, Hue will be a “Capital of Gastronomy”. Tourism experts evaluate that gastronomy is the outstanding competitive advantage of the former Capital. They analyze that catering is a must for every tourist as they travel apart from accommodation services and tourist attractions. Visiting Hue, tourists are always attracted by the huge “depot” of food as the city owned 1,300 dishes in a total out of about 1,700 dishes in Vietnam that have been ever recorded. Mr. 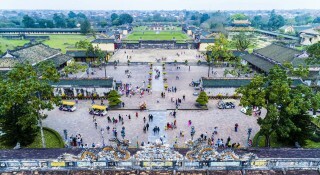 Le Huu Minh, Acting Director of the Department of Tourism shares that being the most recent former capital, Hue inherits and has preserved many valuable cultural heritage values of the nation including the gastronomy, which is considered a rich heritage and the finest culinary culture in Vietnam. In the competitive context and trends for destinations, Hue is in need of a quick plan for preserving and promoting the culinary essence exactly as its inherent value, then transforms from a cultural trademark to a positional tourism trademark that has a strong appeal to visitors. Mr. 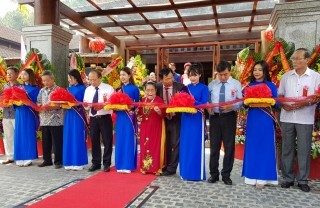 Le Huu Minh continued to analyze that gastronomy has become a competitive advantage and a decisive factor in developing the trademark for Hue tourism. If the uniquely identity of Hue’s gastronomy is fully developed, it will make a difference and refresh the image of the destination, that will create a new, strange and unique feeling of Hue. In some countries around the world, gastronomy plays an important role in designing tourism development and promotion programs. It is considered a useful factor to enhance the development for the destinations and meet visitors’ expectations. 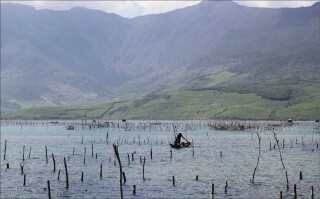 Therefore, developing gastronomy as a tourism product can not be further delayed in Hue. 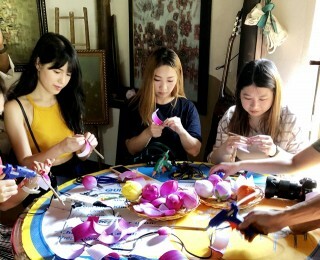 For years, there have been events and activities to affirm the competitive advantage of gastronomy, especially in Hue Festivals and Hue Traditional Craft Festivals. 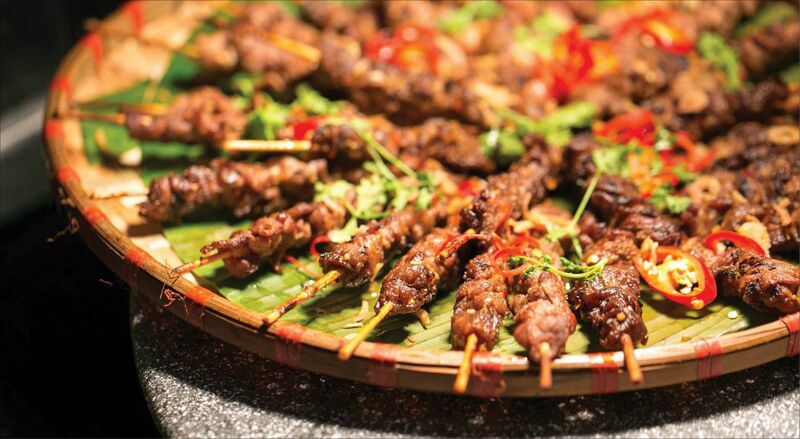 Hue has introduced its cuisine, from its royal high-class to the folklore ones. In the middle of February, 2019, nearly 500 guests, including leaders of the Party, the State, ministries, central sectors, leaders of 19 provinces and cities in the Central region and Central Highlands, diplomatic representations, international organizations, businesses, economic and tourism experts... attending the conference for “Tourism Development in Central region and Central Highlands” has highly praised the unique and stylish dishes with a meticulous art of decoration at the gala dinner host by our province, as they have never been enjoyed those kinds of dishes before in their life. Speaking at the Gala dinner, Chairman of the Provincial People's Committee Phan Ngoc Tho affirmed that by theming the gala dinner as “Hue - the Capital of Gastronomy”, the province of Thua Thien Hue confirms with the distinguished guests and visitors that Hue is the gastronomy capital of Vietnam and we are determined to make Hue’s cuisine trademark a national cultural product. 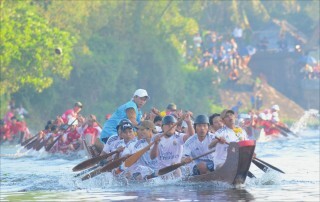 “Hue – the Capital of Gastronomy” must become an effective decision with a breakthrough development perspective that meets new requirements of the professionalism, the modernity and the adequacy of its potentiality, and affirms the position and the diversity of Hue cuisine under the pressure of increasing competition in the region. Mr. 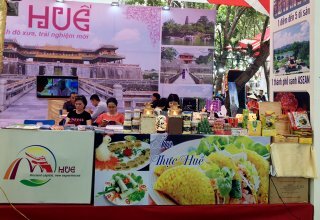 Le Huu Minh said that, in order to embody the above goal, the tourism sector signed a cooperation agreement with Dai Nam - Thai Y Vien JSC to help Hue propose the project “Hue – the Capital of Gastronomy”. The project will contribute to the preserving, conserving and promoting the essence of Hue’s cuisine, and improving the image of Hue’s gastronomy in the region and the world. Implementing the project is also an opportunity for the sector to mobilize and attract social community and enterprises to participate in preserving, conserving and promoting the value of Hue’s gastronomy, boosting tourism and bringing high economic efficiency to the society. 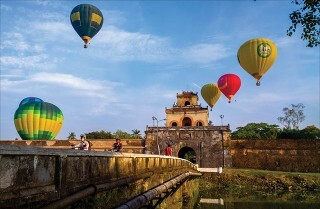 Tourism experts reckon that the designing of the project “Hue – the Capital of Gastronomy” will form Hue's strategy towards becoming a gastronomy metropolis and capital, contribute to making Hue a destination with strong attraction from core cultural elements, and affirm Hue as an indispensable destination for tourists as they visit Vietnam. Director of Dai Nam - Thai Y Vien JSC, Mr. Tran Ngoc Linh wished that the implementation of the project “Hue – the Capital of Gastronomy” would require not only what Hue currently possesses, but Hue should be a gathering place of quintessence to build the value of crystallization and pervasion of the Vietnamese cuisine. The tourism sector informed that, in the coming time, there would be a huge volume of work to embody the “Hue - the Capital of Gastronomy” program. In the immediate future, it will focus on collecting and digitizing all Hue’s dishes, then compiling and publishing them; also, it was to register the intellectual property rights and trademark rights of “Hue - the Capital of Gastronomy”, developing a chain of restaurants and food services from the royal to the folklore cuisines, and establishing a gastronomy museum and training a team of quality and skilled chefs for Hue city. Mr. 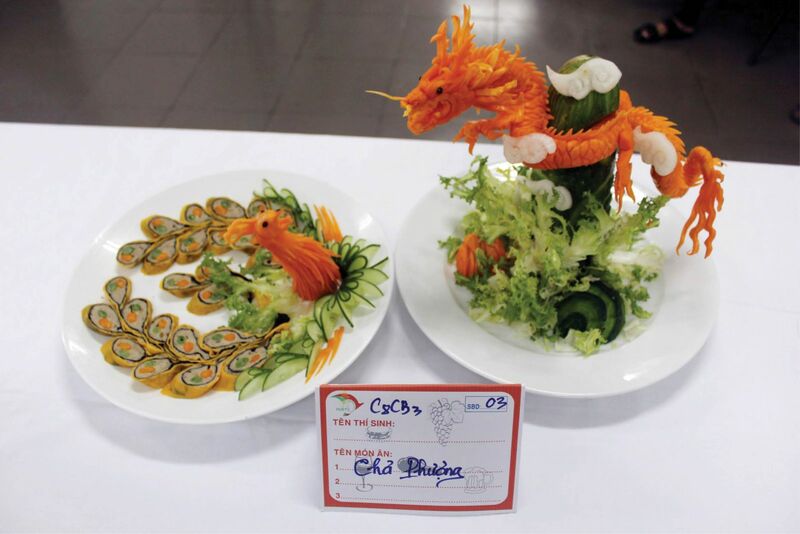 Vu Hoai Phuong, Rector of Hue College of Tourism said that if Hue would like to become a “Capital of Gastronomy”, it had to show, first of all, the uniqueness and difference which had not yet been found anywhere else. Through a research, the difference of Hue’s gastronomy was in its royal and vegetarian cuisine because they expressed the quintessence and uniqueness of the former capital. Therefore, Hue needed to focus on developing these two types of cuisines, then replicating them. On December 10th, 2018, the Provincial People's Committee issued the Decision No. 2879/QD-UBND on approving the outline of the “Hue - the Capital of Gastronomy” project to 2025, with a vision to 2030. It is expected that in the third quarter of 2019, the project will be completed for the approval of implementation.